If Microsoft hasn't fired its PR team for the bungle that was the Xbox One launch, they should now. Following yesterday's news that the One has been designed from the ground up with advertising in mind, we argue that the Microsoft console is itself a great piece of advertising - for the PS4. It also looks like the PS4 controller's light bar can't be switched off That may not be a deal breaker, but you better hope that the dualshock has a substantial battery packed inside it. While we're discussing facepalms, it would be wrong to ignore BlackBerry's decision to breathe life back into the BB7 platform with the newly leaked Bold 9720. Given the struggles facing the BB10 platform, it's not too much of a surprise, but you can't move forward and backwards at the same time. It's not all disappointment though. Windows 8.1 is due to manufacturers next month, which is a huge step in the right direction for the operating system. Nikon is teasing new cameras which will "change the concept of cameras". 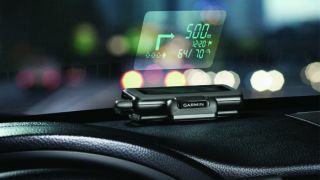 Maybe it's a phone… Or a portable HUD for your car like the new product announced by Garmin overnight. Now that sounds cool.